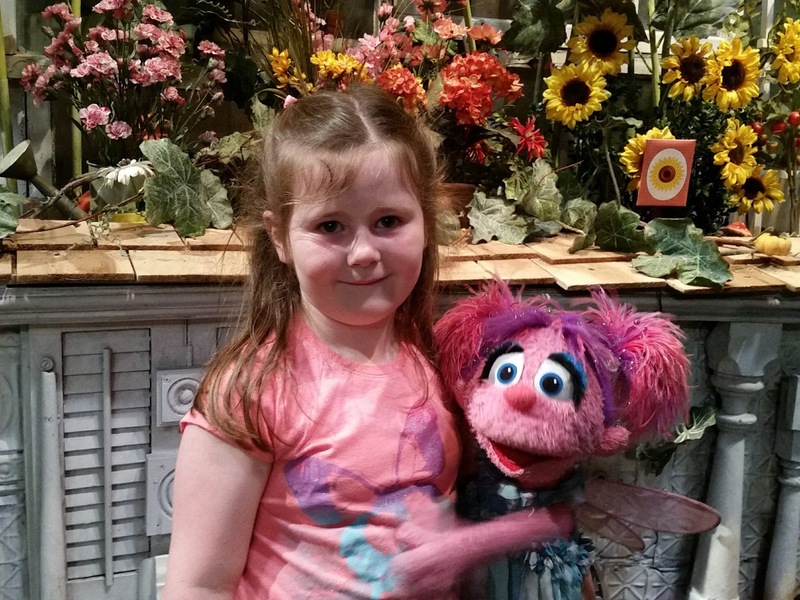 Last week Gerald and I had the amazing opportunity to take Clara to visit the set of Sesame Street thanks to my old friend (and puppeteer) Tyler Bunch. 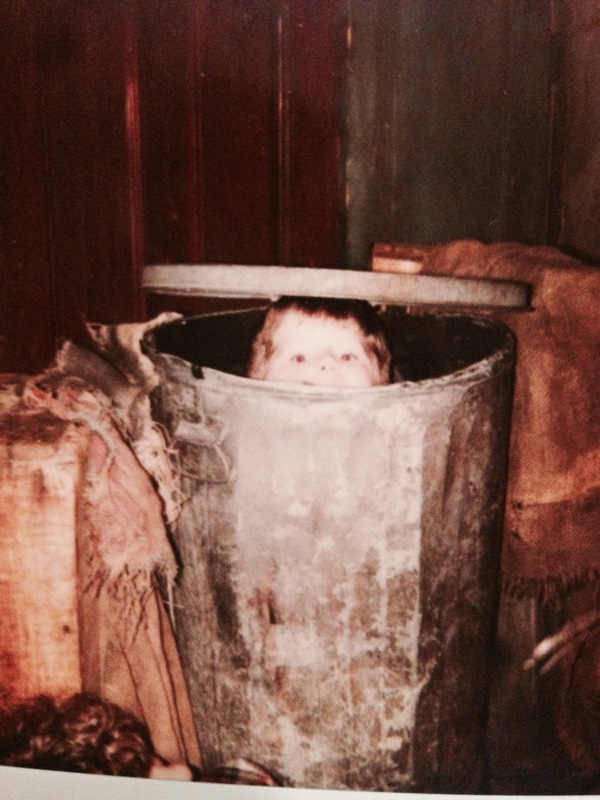 There was so much nostalgia to this visit. There aren't many shows that have been on the air since Gerald and I were kids that are still on and relevant to our children. As fate would have it...and our parents differing industry connections to Sesame Street, both Gerald and I had the opportunity to visit the set as children - and now here we were...30+ years later taking our daughter. 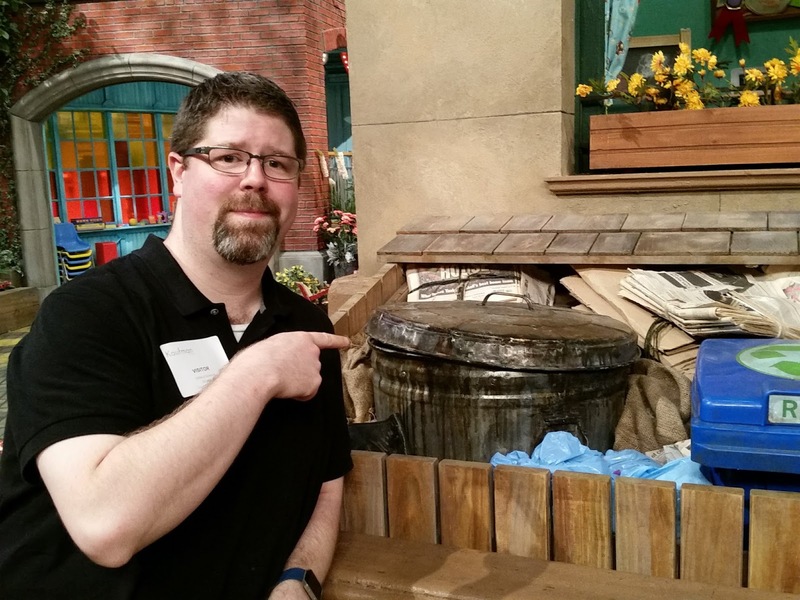 When we walked onto the set the first thing I saw was Big Bird's nest. Come ON!!! 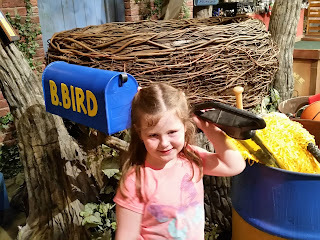 I love Big Bird! 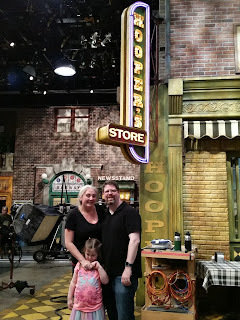 The next thing I saw was the sign for Mr. Hooper's store. 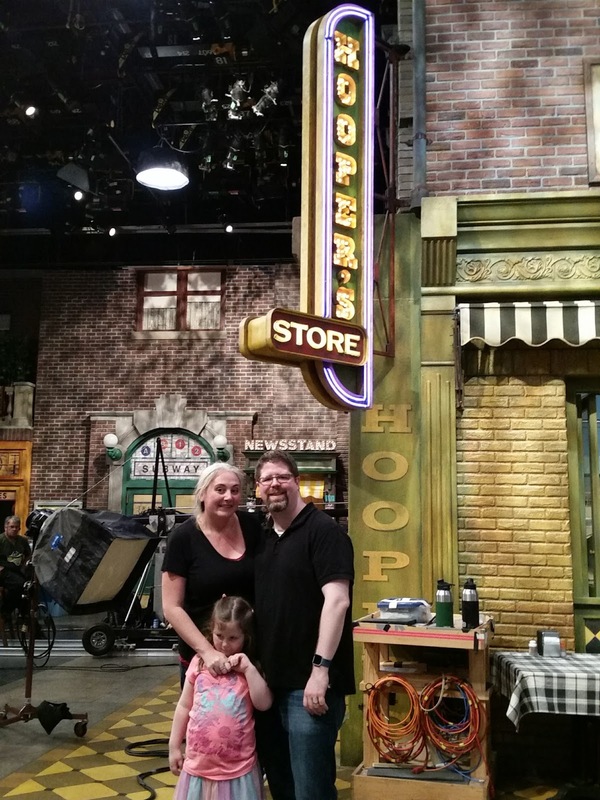 The day Becky and I visited the set as children was the day after the actor playing Mr. Hooper died. 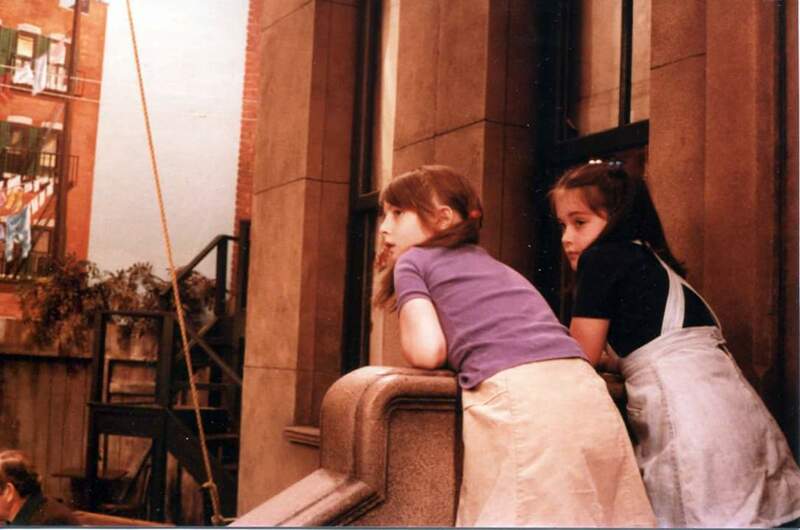 It was a quiet, somber set but I remember walking around in absolute wonder. I was about 6 years old when I visited, Gerald was younger - and had some real insider access, as he was allowed to take a photo sitting inside Oscar's trash can. He wasn't so lucky this time, but we did find out that it is one of 2 pieces of set that are original and date back to our childhood. The other piece of set that is original are the brownstone steps leading up to the 123 entry door. 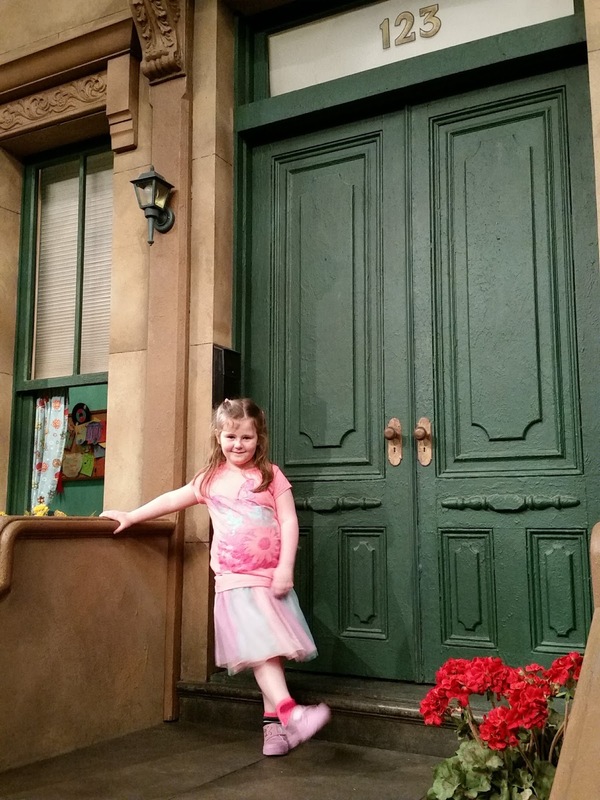 The only photo I know of from my visit to sesame street is on these same steps...and Clara got a photo too. Becky and I circa 1982. And then the real magic happened - Tyler had told me before that there was no guarantee that we would be able to meet any of the characters - which was fine - my head was already spinning with childhood glee. 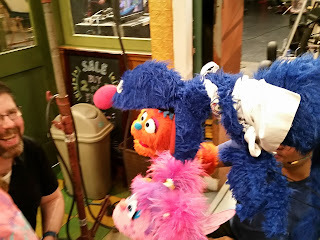 From the back we watched a scene being filmed with Abby Cadabby, Grover (MY FAVORITE!!!! ), Mr. Johnson, and Rudy (Abby's younger brother), and real person Chris. We watched them film the scene - during a short break I suddenly heard Abby say: "Hey, you, I like you're skirt - it's just like mine." And I realized Abby was talking to CLARA!!!!! Ahhhhh! 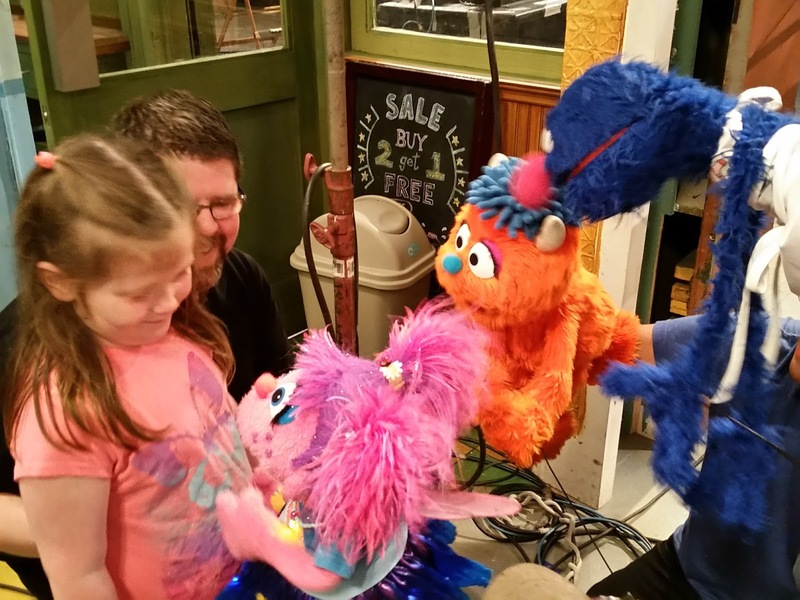 And just like that Abby and Grover and Rudy came over to talk to Clara and give her lots of hugs. 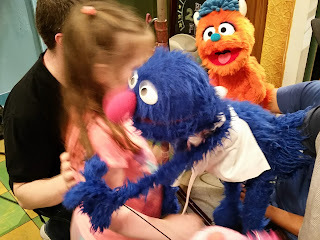 I restrained myself from hugging Grover and crying and instead took some photos of this momentous occasion. 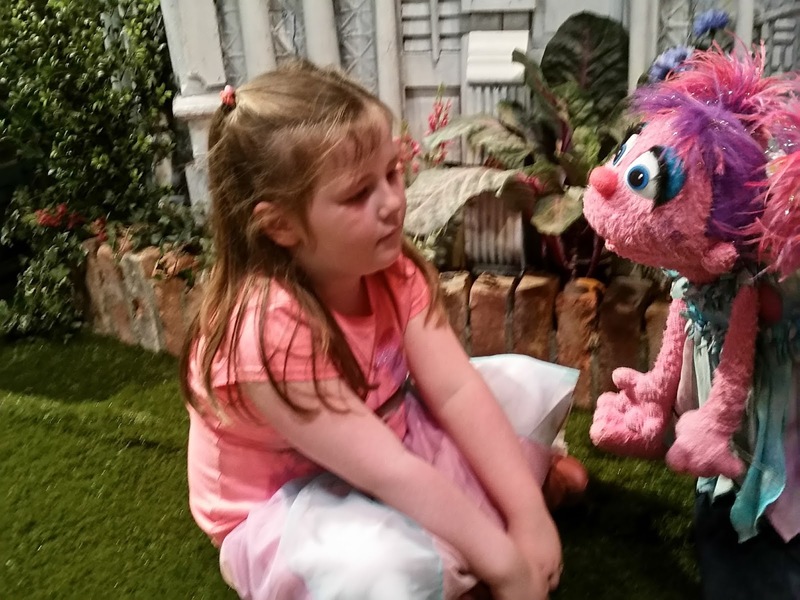 As you can see - Clara was a little stunned by all the attention. A short while later after we saw some of the behind the scenes stuff we walked back on set. 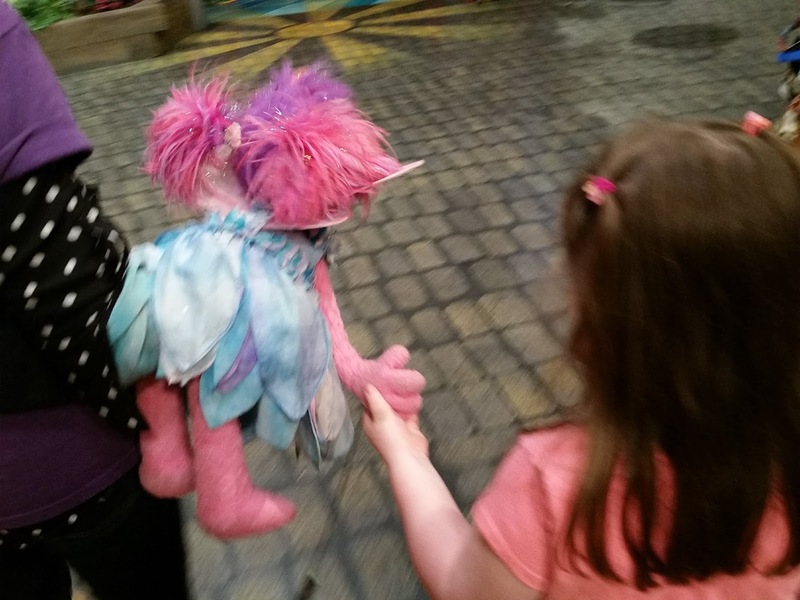 Abby swooped in and took Clara's hand and walked her over to her Fairy Garden. They sat together and talked for a long time. I cannot express how awe inspiring it was to watch this interaction between a happy-go-lucky pink fairy and my most precious little girl. It is something I will never forget and I am forever grateful to have gotten to experience the magic of Sesame Street as a child, an adult, and a mother.